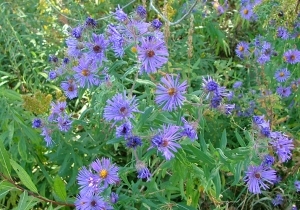 Class Description: Two (2) day field class covering aster and goldenrod species found within wetland and transitional habitats. Participants will learn primarily through in-depth field instruction and some classroom instruction how to identify these tricky herbaceous groups using a variety of characteristics including leaves, flowers and stems. The class will visit diverse field sites in Washtenaw County in order to identify both commonly observed and less commonly observed species within these groups. This is a field course, participants should be prepared for varying field and weather conditions (rain gear, sunscreen, bug spray, etc. ).